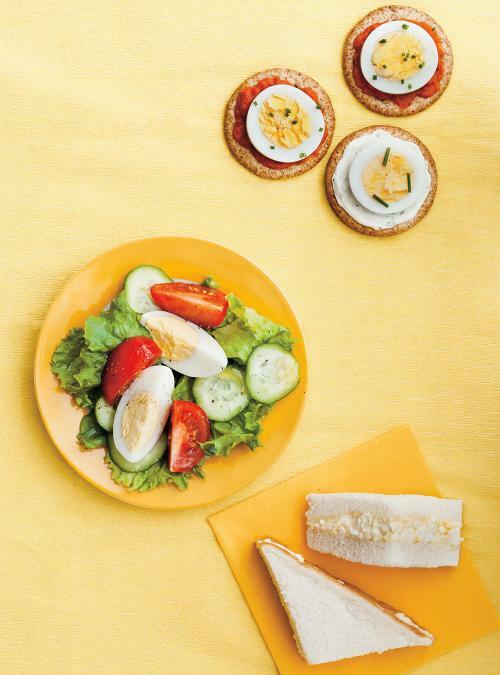 Cut the hard-boiled egg into quarters. Tear the washed and spun dry lettuce leaves. Cut a tomato into quarters. Cut a few slices of cucumber. 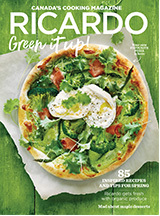 In a bowl, toss the lettuce with the olive oil and lemon juice. 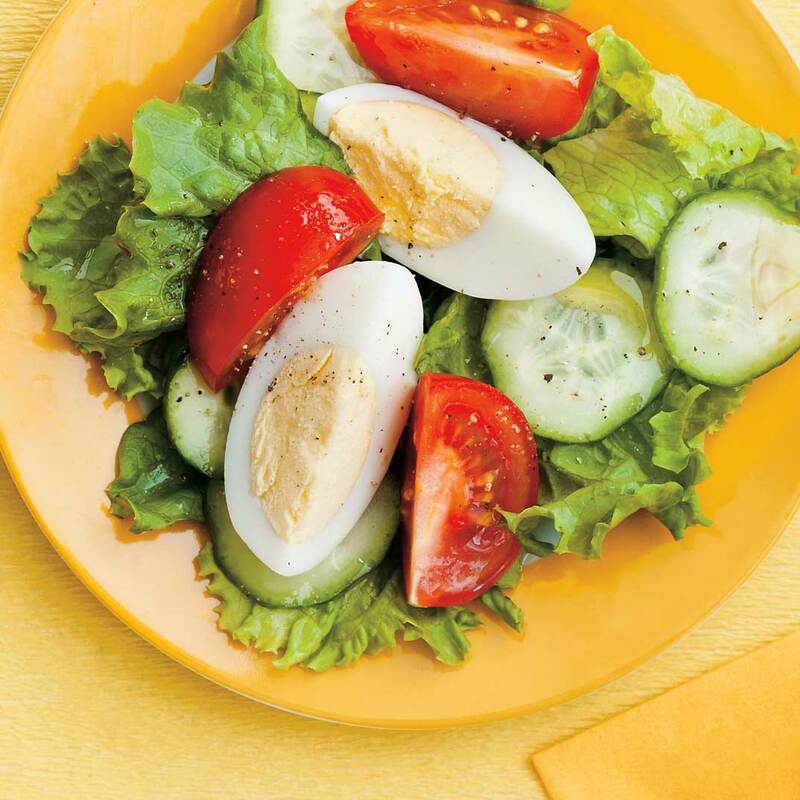 Top the salad with the hard-boiled egg, tomato, and cucumber. Season with salt and pepper.